One of the goals I set for the studio this year has been to grow the boudoir and glamour book of business at the studio. After doing some research I found out a couple of interesting things. One, most women in my market and in the demographic I wanted as my customer base, already knew I was shooting Glamour and Boudoir. They even thought the images I was shooting were pretty and tasteful. Which was way awesome! Two, I found out the same women who liked my images would not book a session with me because of the images I was posting. This was not so awesome. I asked why they would not book with me if they liked the images and the answer turned out to be very simple. The images I was posting were images of young flawless models and they felt they were not young models and they would not get the same results. That was it. And with that information I decided I needed to build a new site that ANY and ALL women could and would relate to. So I started to build MOZ GLAMOUR AND BOUDOIR. I needed content for the new site, so I put out a couple of calls on Facebook looking for brave women who were at least 30 years old, since that is the main demographic of the site, to pose for glamour and boudoir sessions. As I was shooting the sessions for the new site I kept trying to figure out what the core message of the site would be. With my Seniors, Weddings, Portraits, Families and Commercial genres it was easy to know the brand message - "We Specialize In BADASS." But while I was shooting and editing the glamour and boudoir sessions "BADASS" just didn't didn't seem to fit. I started to think about some of the conversations I've had with the different women I shot over the years. Thinking about it one common story always stuck with me. From time to time, someone I was shooting would tell me how they came across old formal or beauty portraits of their mother or grandmother and how cool it was to see them that way. My clients would tell me how much those images meant to them and how much they loved looking at the beautiful images. Boom!!! That was it. From those conversations I knew what the message of the new site needed to be. It is simple and to the point: EVERY woman should own beautiful pictures. I really believe in my heart all women want to feel beautiful and pretty and that's what we are here to do. 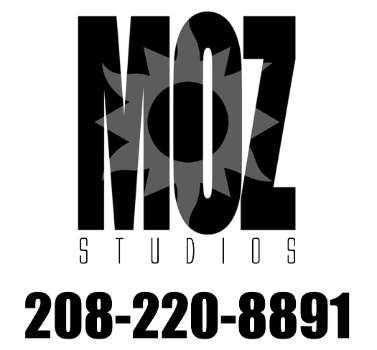 Moz Glamour and Boudoir is for EVERY woman and there are two things I promise. One, you will have a blast shooting your images and two, you will love your images for your lifetime! If you would like to see more images or get more information on how to schedule your shoot click on the links below!